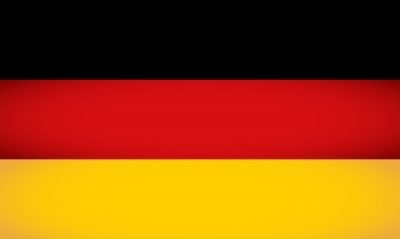 Currently Germany is looking for academically qualified and experienced workforce. The growing economy of the country makes it a good choice to migrate. In this article, we would show you the best European cities to work. The best cities to work in Germany, are the following, you can choose which one to visit or inmigrate. Berlin. – It is a city located in northern Germany, where 3.5 million people live, this is why there is a great commercial activity, in this city it is required professionals who want to take risks and be willing to carry out entrepreneurship projects. For more information about job opportunities for entrepreneurship projects, visit: http://jobslike.me/. Hamburg. – The second largest port in Europe and the second most populous in Germany. It also has low crime rates and there is a variety of job opportunities related to port activities. Munich. – City with pleasant weather, high demand for labor and security, high per capita income, good transportation, parks and technology. All these features make it a good choice to live. Frankfurt. – Cosmopolitan and business city, it is the German financial center; despite not being attractive for tourism it presents a big labor market. In this city there are banking centers and pharmaceutical, electronics and automotive companies. In addition we can mention that the higher salary is about 52,000 per month. Baden Baden. – German resort town, so the jobs are linked to the areas of tourism and hospitality. Stuttgart. – One of the top financial cities in the world, here we find corporations like Mercedes-Benz, Bosch, Porsche, Hugo Boss and IBM. There is demand for specialists in trade, vehicle maintenance, health and manufacturing. To improve knowledge of the German language and to better adapt to your new life, we recommend the Goethe Institute. I f we talk about weather southern Germany is warmer than the north, this must be taken into account, sometimes the weather of the city where you live is more important than a good salary.